It went very well. We had an auction and the property was sold after the auction. It was sold in just a short period of time and we got the expected sale price. This agent’s communication was very good. A vendor was selling a 4 bedroom House and found Owen via OpenAgent to sell her property. 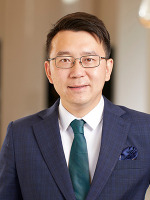 Owen Chen has sold 50 properties in the last year. They’ve recently sold properties in Sunnybank Hills, Calamvale, Parkinson, Sunnybank, Robertson, Algester, Eight Mile Plains, Coopers Plains, Mount Gravatt East, Macgregor, Runcorn, Stretton. A recent sale was a 4 bedroom house at 7 Indiana Street, Sunnybank Hills. Their highest sale in the last 12 months was a 5 bedroom house in Robertson for $2,250,000. Owen Chenwill get back to you shortly. What can Owen Chen help you with? Looking for more agents in sunnybank-hills?